Hello, lovelies~ I'm here today to bring you a review on the latest hand cream that I owned. I saw this at Marks and Spencer the other day and thought I'd give it a try. On first glimpse, the packaging is almost similar to those from L'occitane. The foil-like feel and color of the squeeze tube with a twist off cap. The label on it is grey with a handwriting-like inscription, not printed, bold letters. 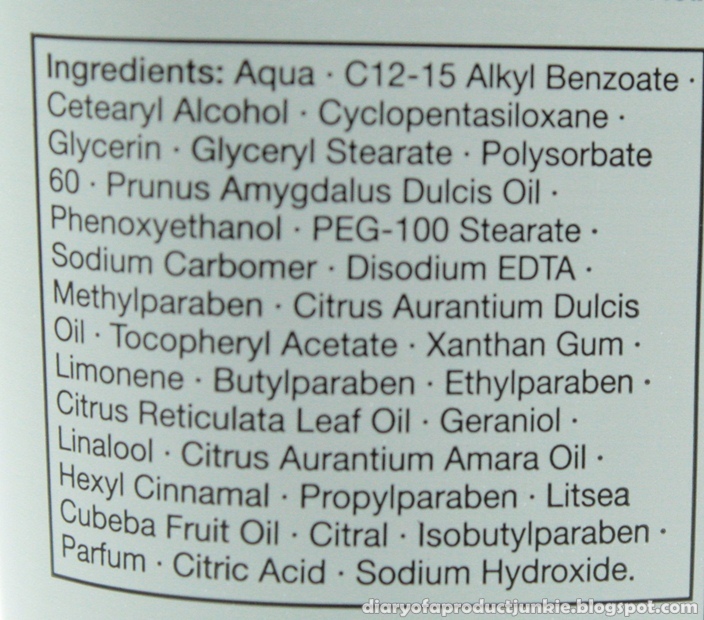 The main moisturizing ingredient is Glycerin. 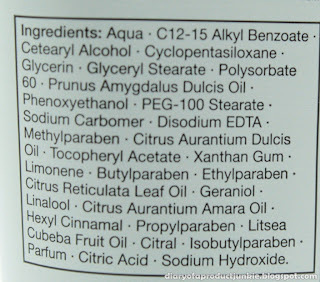 Well, technically, Glycerin is categorized as a humectant because its nature is drawing water from the environment to the skin. It also has its uses in increasing the solubility of the active ingredient, in this case, the sweet almond oil, to perfom better in moisturizing the hands. 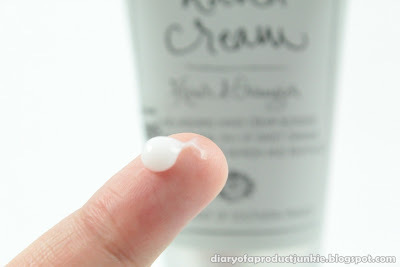 The texture is a white cream that turns translucent once rubbed and blended into the skin. It has an impressive moisturization level, but free from the greasy and sticky feeling. 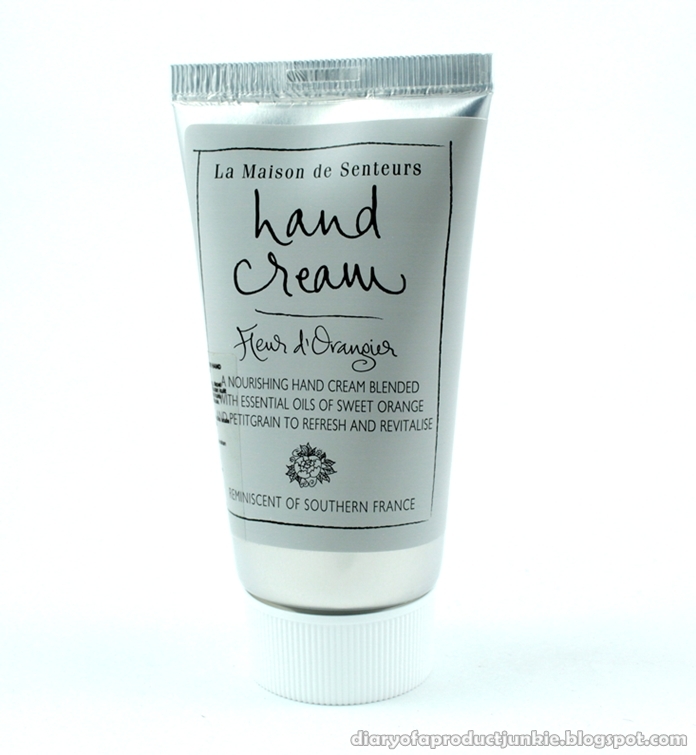 This is all thanks to Cyclopentasiloxane, which helps in creating the soft and smooth finish on the hands. Also, ensuring the moisture to be sealed in for a longer time period. The scent is one of the reasons I bought this hand cream. It is a mixture between orange seed oil, tangerine leaf oil, and Litsea cubeba fruit oil. It has a citrusy and leafy scent that is almost similar to when I sniffed a pomelo fruit. Overall, I really enjoyed the scent every time I use it and the non sticky finish always pleases me. It gave a good level of moisturization. I think it is worth every perak, especially if you like citrusy scents. I love the vintage packaging! And the scent sounds lovely! Must pop into a Marks and Spencer's to check it out! Suki, if you love oranges, then you'll love this!